Hello, lovelies~ I work in an environment where it is mainly air conditioned from room to room. During those times, I often felt my skin is dry and needed a boost. 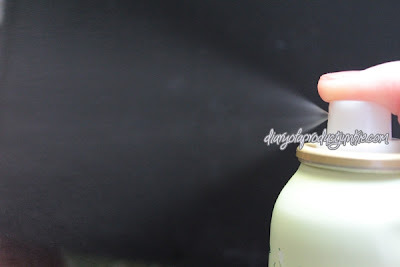 To just refresh my face (and mind), I usually carry face mists everywhere with me. 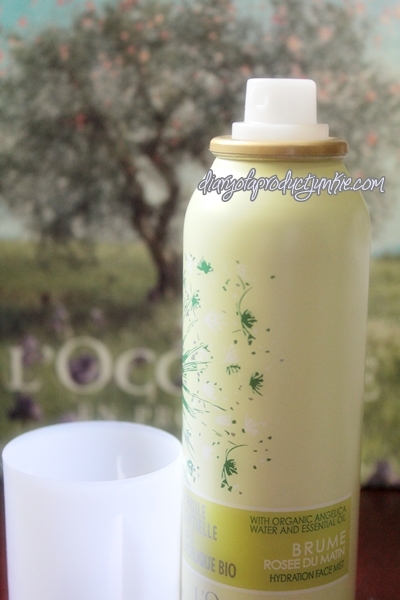 Today, I want to review the one from L'Occitane. Right off the bat, the size of the face mist is quite big, unlike the other face mists that has two or three sizes. Maybe because of its limited edition property, they only make it in one size. Still, it's not a good enough reason to produce only one size! Like, dude, it takes up much space in my bag, come on~! I kid, I kid, I'm not that enraged by the size, chillax, people. Compared to other face mists I've tried, this one contains Angelica extracts that helps in rehydrating the face and retaining the moisture within. It also contains Aloe Vera extracts, so it helps to soothe and calm dry skin. It contains perfume or fragrance, so sensitive skin types, please be on the look out. Here is the complete list of ingredients: Aqua/Water, Glycerin, Angelica Archangelica Root Extract, Angelica Archangelica Root Oil, Aloe Barbadensis Leaf Juice, Amyris Balsamifera Bark Oil, Mentha Piperita (Peppermint) Oil, Parfum/Fragrance, PPG-26-Buteth-26, PEG-40 Hydrogenated Castor Oil, Nitrogen, Sodium Benzoate, Potassium Sorbate, Limonene. The Angelica Face Mist is an aerosol-type spray, if that makes any sense as to what I'm trying to explain. You know, the one you have to shake the can before using it. 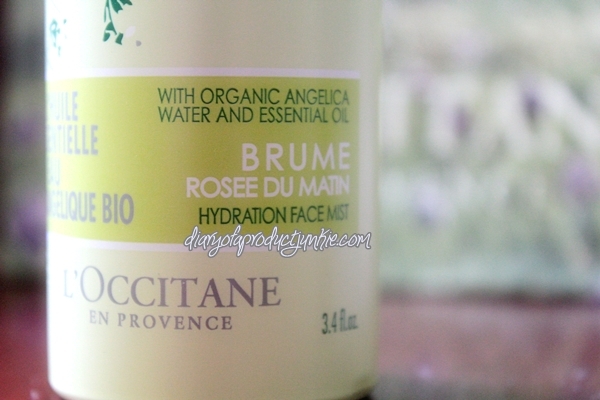 It is similar to Evian's face mist, if you know what I'm talking about. As for the mist that it emits, it has a large area of effect within one spray. 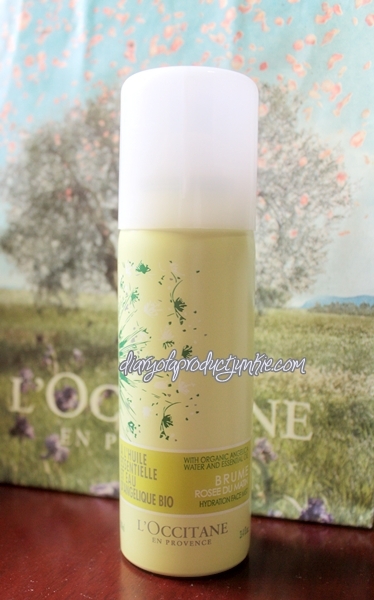 It produces a fine mist that covers my whole face after one spray. On my combination skin type, it feels refreshing and a little sticky, just in the slightest. After a few seconds, the stickiness goes away, leaving my face feeling refreshed and moisturized.